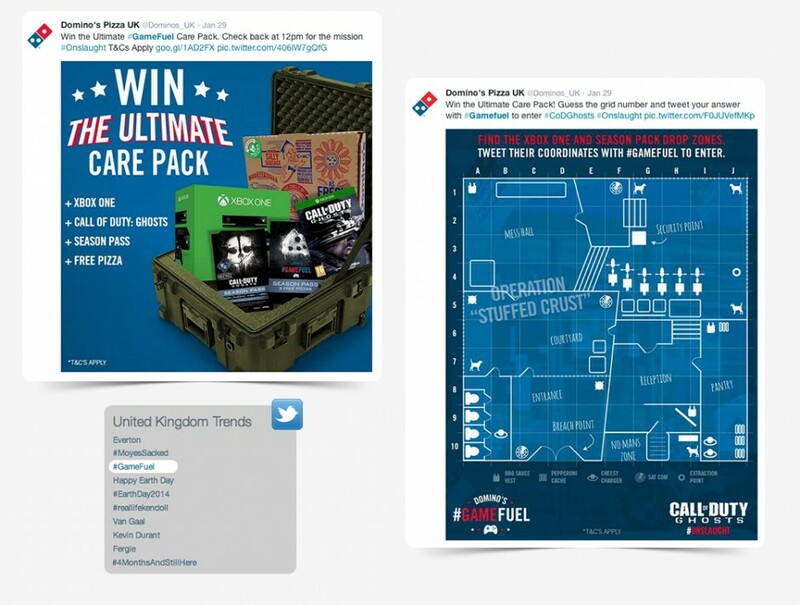 Domino’s Pizza wanted to reach out to their customers on a new level. We were asked to attract and engage fans on social channels and build a relationship with the people who truly love pizza. 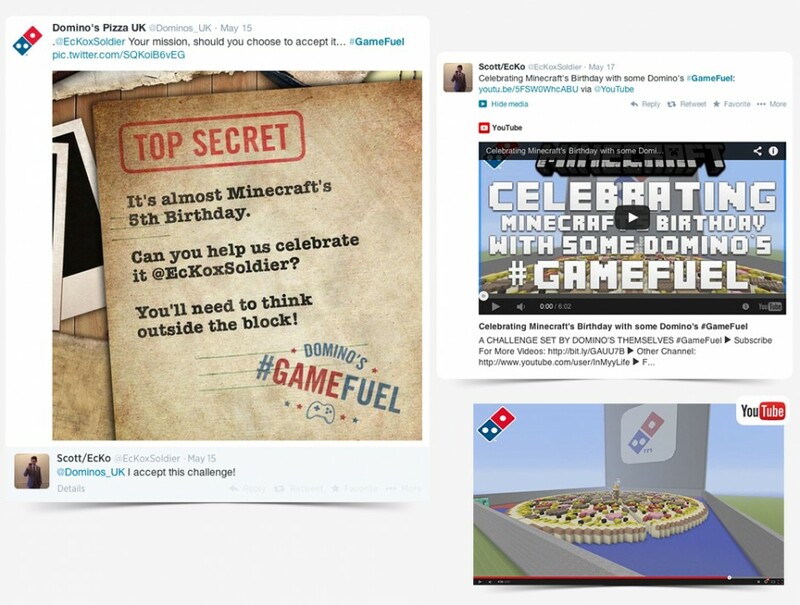 We identified gamers as our key audience and targeted them in a completely new way – by playing the games they love with them as Domino’s Pizza. 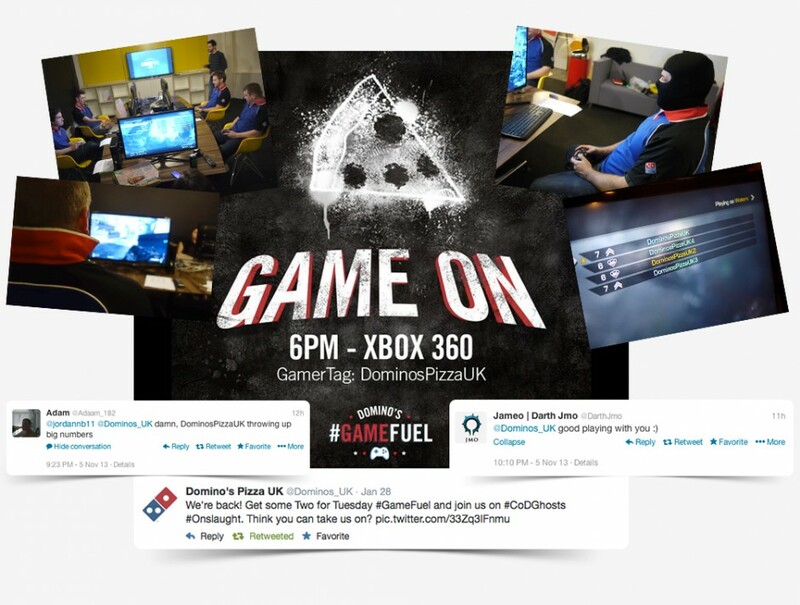 On launch night of the new Call of Duty: Ghosts, Team Domino’s played as a squad against other gamers. Those who beat us, were rewarded with pizza vouchers. This allowed us to join in their Twitter and Xbox Live conversations and connect with them on a personal level. All while providing the #GameFuel.